Trendy Berlin: Fashion week is hot in the city, but are you playing cool with Eco-Fashion? Germany’s fashion capital has again attracted the country’s top designers to showcase their collections. Unlike any other Fashion Week around the world, Berlin’s event isn’t just about the runways but also the streets too! Here the industry explodes and almost anyone with an Instagram account is making the most of the incredibly stylish streets in celebration of design meets self-expression. Where individualism is truly a lifestyle 365 days a year. Our favourite local blogger to follow at this time is certainly Nath Fedorova of BEAUTYCALYPSE, find out more about her [here]. We love her not only because she is the proud owner of TWO pairs of The Glow Brand stilettos, our [Belle Pelle pumps] and [True Green pumps], but also because she is a true ambassador for Eco Fashion. 1. Eco-fair fashion is represented by two trade shows, [Greenshowroom] for luxurious and premium brands, and [ethical fashion show] for eco-fair streetwear and urban styles. They just opened the doors yesterday to both the fashion professionals and the press with a record exhibitor number. Nath actually sent us this top idea whilst en route there! 2. Genuinely ethical brands sometimes skip a season or two, so they don’t rely souly on the exhibitions listed. To find something great ’n green for yourself this season you should also wander off the highly publicized sites to see Abury who also have a gorgeous boutique in the [Prenzlauer Berg] showcasing not just their own ethno-ethical creations but also many curated pieces from other ethical companies – this is great for discovering new things! 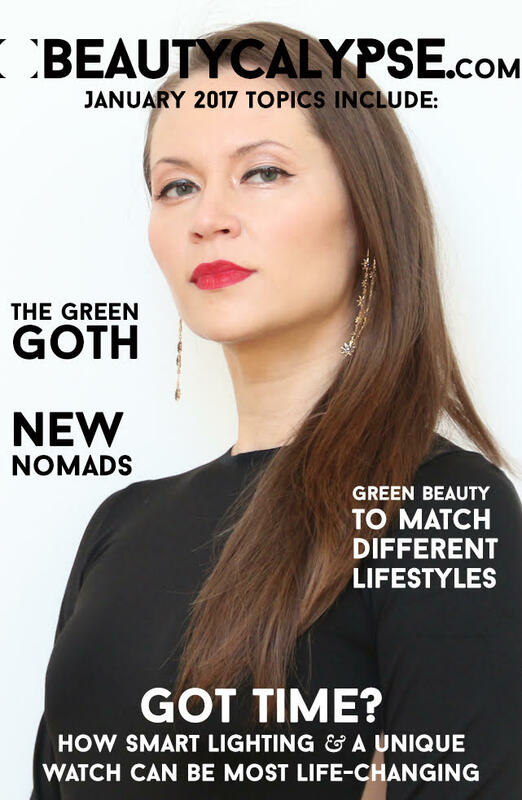 Use your hotel WLAN to discover the online shop of [Lillika Eden], as far as I know this is Berlin’s first eco-fair and Peta-approved fashion company. 3. If Berlin visitors have some extra time, they should absolutely make an appointment with the brand new [Savue Beauty showroom] for a fantastic „green“ makeover (by appointment only) or book an Ayurvedic Ila Beauty body treatment in Schöneberg’s [le petit spa]. Berlin-based journalist and online strategist Nath Fedorova of course records all of these great suggestions on her blog [BEAUTYCALYPSE] which is essentially her own personal story of finding genuine ethical excellence without giving up on great style and quality, founded in 2013. We give Nath a BIG THUMBS UP and look forward to seeing her in our stilettos soon again.